Having covered the Omnichannel and Mobile and Retailer Control themes that are on our 2018 blubolt road map, let’s turn our attention to Performance and Scalability, the third and final theme. Performance and Scalability is truly at the heart of our bluCommerce platform and is what drives our innovation forward. We are constantly optimising for maximum performance in all areas, allowing and supporting retailers to achieve ambitious growth and expansion goals with ease. 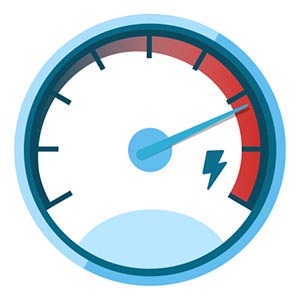 Excellent website performance is crucial in guaranteeing a great user experience, and factors such as page load speed form the basis of users’ immediate impression of your brand. We make sure that our retailers’ sites run like clockwork to deliver maximum usability and value and, ultimately, to increase online sales. Monitoring and reliability. With website speed being so important for users and search engines alike, we will continue to ensure our platform remains lightning quick. We’re also proactively mitigating against potential issues through optimising monitoring processes. bluCommerce dashboards. This is our new initiative for 2018 to give retailers a real-time, interactive overview of site activity and performance based on a range of e-commerce metrics. Our bluCommerce dashboards will improve overall visibility and will even extend to operational metrics by utilising blubolt-specific data. Performance and Scalability may be the final theme in our 2018 vision, but it certainly doesn’t define the limits of what we’re driven to achieve this year and beyond. With that in mind, stay tuned to our blog and social media channels for more exciting updates to come!